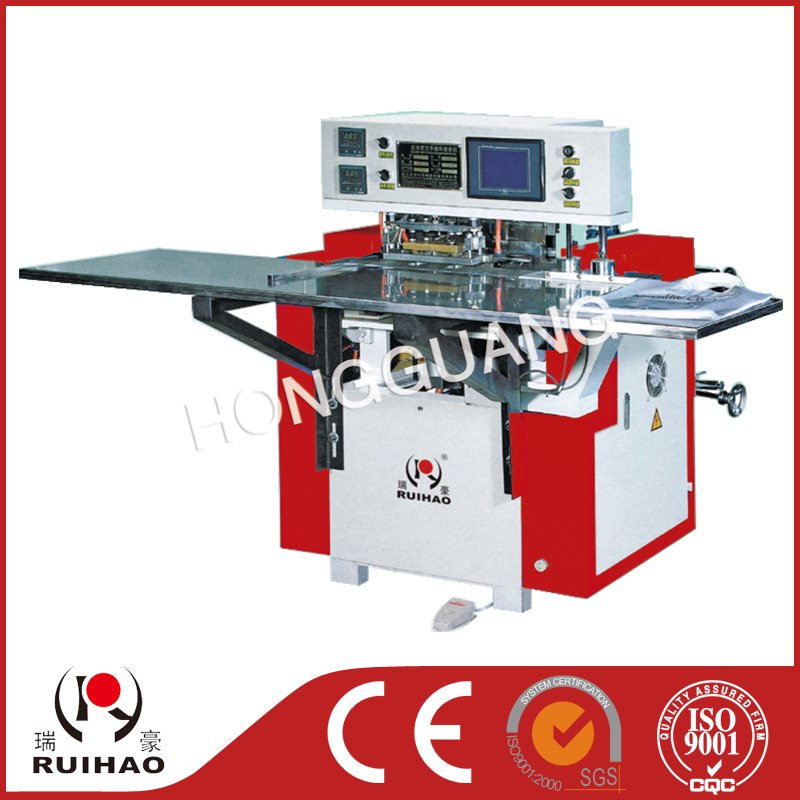 At the rear, there is an unwinding station for the polyethylene handle film. The width of film is equal to the length. The film is cut into narrow trips,and fed into the top fold. The flexible handle film feeding system is fed by motor. The roll of film is fed accurately., welded automatically and is precisely positioned to the center of bag.